7 Our focus is to offer you the best healthcare available in every aspect of our clinic. 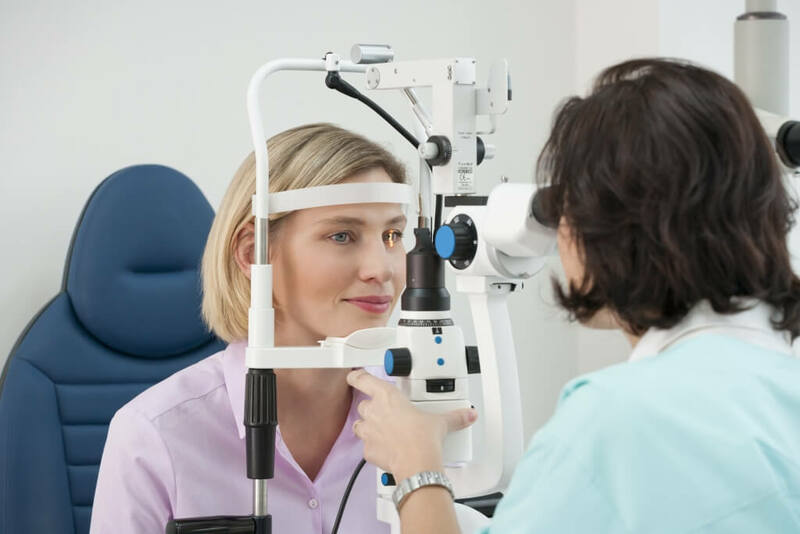 Our team have been operating since 1995 and are among the most experienced eye surgeons in Europe. Several of our own family members have been our patients - we trust our work! We believe that perfect vision should not be a luxury. Our pricing is FIXED no matter how strong your prescription and starts from only £750 for per eye. We value patient safety and comfort above all other concerns - we’ve been operating only with the “no-touch” bladeless and painless surgical techniques since 2009. And now we offer the revolutionary new ReLex SMILE surgery - a whole new standard in comfort, safety and patient outcome. Our microsurgical team attends key congresses and certified surgical courses every year to keep abreast of the latest trends and studies in refractive eye surgery. The safety of our procedures is always our primary concern, and our surgical techniques are the least invasive available. See our certifications. We invest only in the very best technology and our clinic is equipped with the latest interconnected diagnostic and laser technologies from Wavelight AG. These are the only Femtolasik 6D systems which are certified by the US FDA for correction of refractive errors of the eye. Join the 30,000 patients who have perfected their vision with our help. Copyright: Dr. Tomáš Juhás, PhD. I'd like to thank the team of the Oftum clinic in Prague and personally Dr. Tomas Juhas for his professional work. I had a special case (too thick cornea), so I got also a second correction. Every time I received great service and good relation, also dr.Tomas made a second correction by the method that I asked for. Thanks also for very tasty green tea with ginger and homemade cheesecake. I highly recommend Oftum clinic for vision correction. My son (14) has just had Femto LASIK on both eyes, every part of his journey has been amazing! From our contact in the U.K. Warrick - he's wonderful, so helpfull and always available with help and support to the ladies at the clinic here in Prague and of course Dr Tomas Juhas who performed my sons surgery. First class service from start to finish, no problems with language barrier as all staff spoke perfect English, Tomas was very professional and kept my son very calm, explaining everything in great detail! My son had very poor sight and waking up today not needing his glasses was very emotional and exciting! I'd recommend this clinic to all, it's changed my sons life and we got a mini break in a beautiful city! Thank you so much Oftum! My husband and I decided for Christmas present do eye lazer surgery. My husband found this clinic through facebook and we decided to do it here. We had an amazing experience, the staff is incredible, heblpful and super attentive. Our doctor answer all our questions and made us feel very confortable with the procedure. We went the day of the surgery got examined and then came back the same day for the actual procedure. It was all very fast and comfortable. We got out and went to our hotel and rest for the whole day. Next day we took it easy came back for a check up and our vision has been perfect since the surgery! The staff answers all questions right away when needed. We are recommending to all our friends and family!! Hey there, I had a RELEX surgery of both eyes in the Oftum Clinic about 2.5 weeks ago. It was a great experience thanks to Bjoern and the Oftum Crew! The physician and staff are very friendly and aware of the process. It took less than 5 minutes under the German Zeiss Laser. Duration of the actual treatment is just 30 seconds each eye and doesn't hurt. I was able to see right after it and found the relax chair on my own. 15 minutes later I left the clinic with an almost perfect sight. After another 3 hours rest in the Panorama Hotel which is right next to the clinic I was able to explore Prague with my girlfriend in the afternoon. Since that day my eyesight is perfect and I'm still impressed how easy and good value it was. No dry eyes, just a little sensible to bright light for about a week after. Very good care. I would do it there immediately. It was the best decision of my life. The organization, service and eye-surgery @ OFTUM is brillant. I had absolutelly no problems or pain and after a couiple hours after the surgery, I was able to see clearly withou my classes. For everyone who would like to get rid of his glasses it is the best clinic. Many thanks again to Dr. Tomas Juhas and the whole team in Prag !!! Minimally invasive - the first true keyhole surgery for laser vision correction. Completely painless both during and after the procedure. We offer all three types of Laser Eye Surgery - PRK, LASIK and now ReLEx. We always recommend the right procedure for the best visual outcome for YOU. I agree with processing of personal data that are indicated in form and that are exceeding legal basis (phone number, e-mail). The processing may be withdrawn at any time.